Casa Mutiara is a freehold serviced apartment sited behind Swiss Garden Hotel. 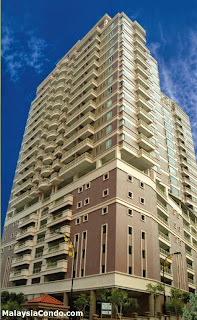 It is next door to Casa Residency, City Park, Sri Emas, and Swiss Garden Residences. Casa Mutiara high-rise condominium consists of 12 levels of residences, 6 levels of multi-storey parking lots and 2 levels for its facilities. It comprises small built-up units with sizes ranging from 325 sf to 740 sf. Each unit is either studio, 1-bedder and 2-bedder apartment. Built-up Area : 325 sq.ft. - 940 sq.ft.